For couples who are newly engaged, there tends to be that honeymoon period that is filled with excitement and romance about their future together. A celebration of the engagement with friends and family can also take place, whether as a formal event or just a simple gathering with everyone. As the initial engagement period starts to wear off, reality sets in, and that is the reality of wedding planning. The wedding itself is meant to be a day filled with love and should be one of the most special days of your entire life. The problem is that in order to reach that day, there is a whole lot of planning and stress that is often involved. In order to make this period as relaxed and enjoyable as possible, here are some tips you can use to take the stress out of planning a wedding. If the budget allows, one of the best ways you can take the stress out of wedding planning is to leave it to someone else. 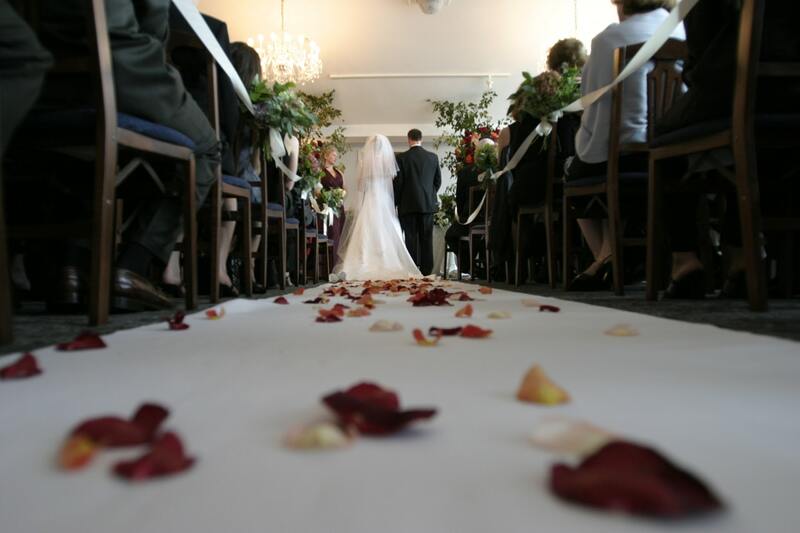 This means hiring a professional and experienced wedding planner. They will be able to chat with you, get an idea of what you want, and then bring that vision to life without any stress on your shoulders. The wedding planner will also be there on the day of the wedding to ensure everything goes off as planned. This allows you to actually enjoy the wedding. One of the first questions loved ones will start to ask you is the date of the wedding, and then where you are registered. A wedding gift registry is a great way to create a list of items that you and your significant other want and need, which makes it much easier for those buying a gift for you. It also helps to prevent duplicate gifts since the item is taken off the registry when it is purchased. You may find it helpful to look at sample gift registries such as those you’ll find on ourwishingwell.com. You can pick a random registry such as the Peter Nomikos wedding and scroll through the items they have listed. While it can seem like a great idea to have the ceremony in one location, photos in another, then the reception in a different place again, that equates to a whole lot of planning on your part. In order to keep things simple, look for a venue that lets you do everything in one place. This will also be easier on guests as they won’t have to worry about going from one location to the next. Money can be one of the biggest sources of wedding stress, which is why you want to be sure you set a budget before the planning begins. You will want to keep careful track of all spending and ensure that you stick to the budget. Each of these tips is designed to make wedding planning as stress-free and painless as possible on you.